Made from black plastic with stainless steel spring. 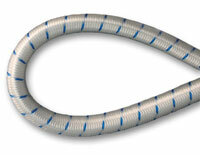 Quality, springy shock cord (bungee rope) in a wide range of diameters. Comes in 100 metre reels. Shock cord rings made a neat, secure connection in shock cord (bungee). Made from stainless steel. 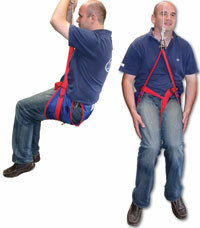 Special shock cord ring fixing pliers are also available, which are ideal for professional use. Part No. 1966 Shock Cord Pliers to suit rings. 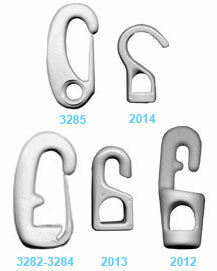 High quality stainless steel shock cord hooks, also called bungee hooks. 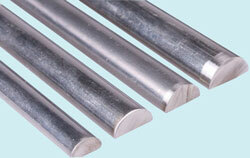 Very strong and durable. Made from 316 stainless steel. Tough, plastic shock cord hooks in a range of patterns. All attach with a knotted end in the shock cord. gated and non gated, made from white marine grade Nylon. 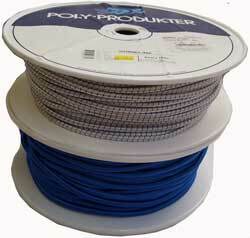 Quality, springy shock cord (bungee rope) in a wide range of diameters. Cut to length, sold by the Metre. 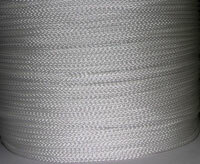 Quality, springy shock cord (bungee rope) in a wide range of diameters.